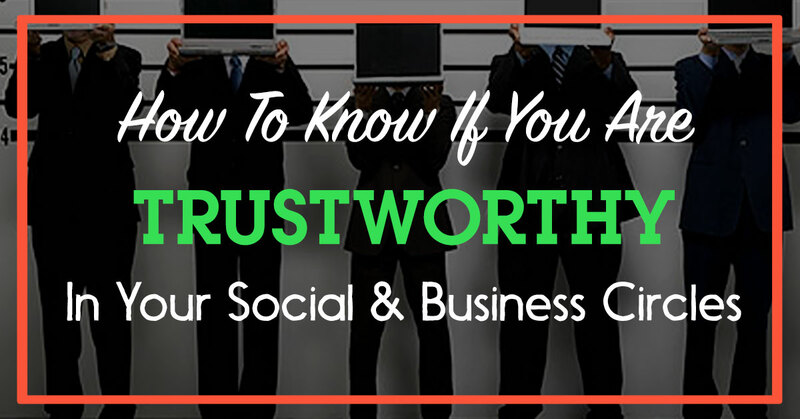 Do you think that you are TRUSTWORTHY? But the fact is that people buy from you only when they trust you. As I was doing some study on this topic, I stumbled upon some really powerful nuggets on how to establish TRUST and grow it quickly. This was a Harvard study that was done and shared on TED. If any of these 3 traits are wobbly, then you will lose trust in the marketplace. Authenticity – Do you come on as an authentic person? This comes down to your grounding and humility. Stop wearing masks, and be yourself. Logic – You can instantly gain trust if you are able to substantiate your points with a very strong logic. If you lack the ability to communicate, then you could lose being trustworthy. Empathy – Do you really care for people? If Yes, it needs to show in your communication. No one cares how much you know until they know how much you care. I’m on a mission to really help people bring that TRUST factor in the digital space. Coz there’s so much of fake stuff going on online. My Inner Circle is all about this. If you value TRUST as an essential trait, then I recommend you start this challenge. It will transform you from within and will help you ramp up authenticity, logic and empathy. I’m sure you can feel some of these qualities in my message here today.